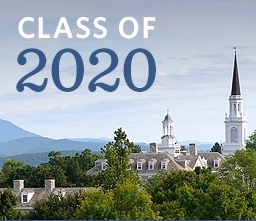 MIDDLEBURY, Vt. – Middlebury College has offered 60 students admission to the Class of 2020 through the College’s second round of its early decision program. Chosen from a pool of 318 applicants, the newly admitted students bring the number of early decision acceptances to 398. Accounting for gap-year requests and other delayed enrollments, the early admits will make up about 55 percent of an incoming class that is expected to number 685. “We’re pleased with the academic strength and diversity of this group,” said Greg Buckles, dean of admissions. The College deferred 40 applicants from this round, who will be considered for regular admission in the spring, and denied admission to 218 students. Middlebury’s early decision program is binding, which means that students who apply have selected Middlebury as their first choice and are committed to attending if accepted. Students learned of their admission by logging onto a special website starting at 8 a.m. on Saturday, February 6. Mailed letters arrived at their homes this week.